Congratulations to the winners of our 2018 Annual DAAD Photo Contest! Thank you to all who participated and to all those who voted for their favorite image. 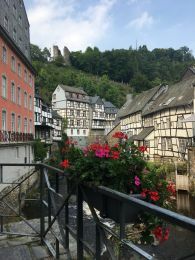 This photo was taken on the river in Monschau. It means a lot to me because it was the first trip I took with my host family & the photo that sparked my interest of taking on photography as a serious hobby of mine. Captured on a wonderful hike in the south of Germany. 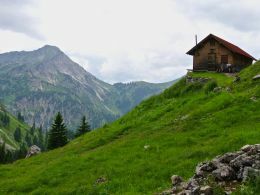 The hike is called the "Große Daumen" ("The Big Thumb"). 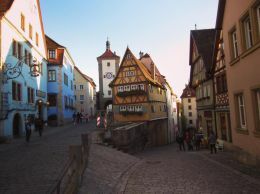 A taste of the beautiful architecture in Germany's medieval town of Rothenburg ob der Tauber. 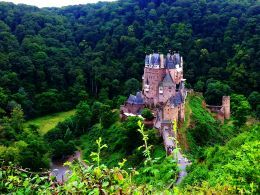 Burg Eltz has been owned by the Eltz family for over 850 years. I visited the castle with fellow DAAD RISE participants I met during the language program. We hiked in a picturesque forest to find this hidden gem in the hills above the Moselle River. 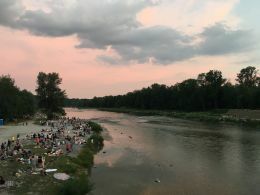 Summer grilling by the riverside is the norm in Munich. The smell of grilled meats and vegetables gets caught in the breeze, and if you look closely, you can see crates of beer being chilled in the river. 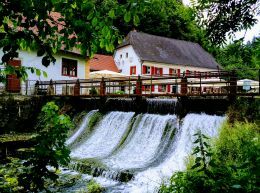 Von der Wimsener Höhle, Hayingen, sprudelt sanft das reine Quellwasser der Zwiefalter Ach hervor und geht auf Reisen - am Gasthof vorbei fließend, über den kleinen Damm der Wimsener Mühle und schließlich weiter in die Landschaft Baden-Württembergs. The winners have been contacted and notified of their awards.